Often when taking the ferry from Dover to Calais, we’re on a mission to get to Paris, the Cote d’Azur or heading off across Europe. 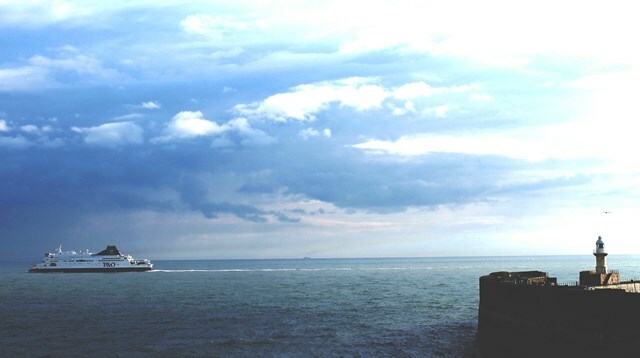 However, it can make a pleasant change to hop across the Channel and take time to explore nearby Nord-Pas de Calais. 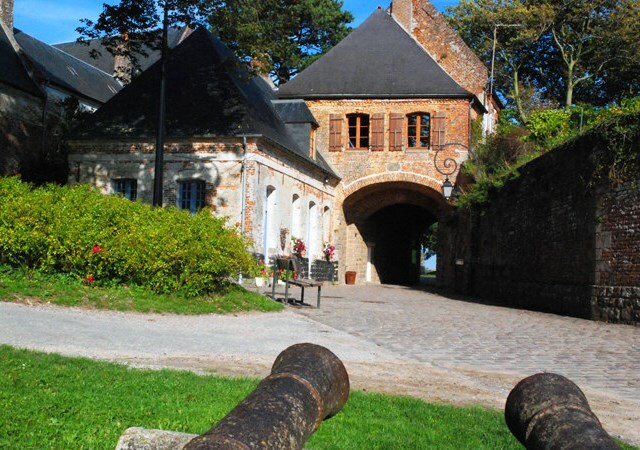 Here are 5 fascinating places that epitomise Northern France in its history, culture and food, all within about an hour’s drive from Calais. The name of this quaint little town is rather misleading as it is no longer ‘sur mer’, the sea having retreated some distance over the years. However, it retains strong reminders of its days as a significant medieval port. Montreuil Citadel walls still stand and within its fortified protection the pretty cobbled streets have many attractive big old houses, built in its sea-faring heyday. I went to Montreuil-sur-Mer because I’d read ‘Les Miserables’ and heard that Victor Hugo had visited briefly. It clearly made a big impact on him. ‘Montreuil is the setting for part of Victor Hugo’s novel Les Miserables, where it is identified only as M____-sur-M__ in past translations. The protagonist, Jean Valjean (going by the name Father Madeleine), is for a few years the mayor of Montreuil, as well as owner of the local factory, and it is where the character Fantine lives, works, and later becomes a prostitute before dying in a local hospital. Hugo had spent several vacations in Montreuil.’ Wikipedia. Here’s a lovely description of Montreuil and Victor Hugo’s visit. There are excellent shops selling local produce including wonderful pastries, cheeses and divine chocolates. You may know the name Saint Omer from the little bottles of beer you get in some supermarkets; the Brasserie de Saint-Omer has been brewing beer here since 1866. 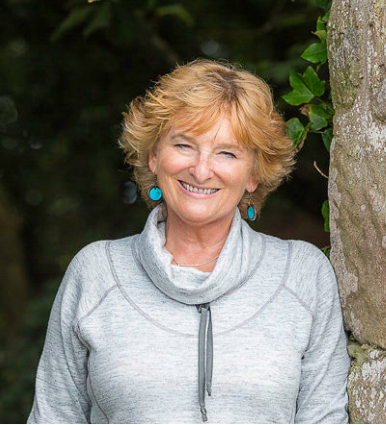 I have vivid memories of a little restaurant in the back streets, a leisurely, deliciously simple lunch and a carafe of excellent wine – and not wanting to leave to get our ferry back from Calais. I also remember impressive Notre Dame Cathedral with a very ornate organ. The elegant domed Town Hall has a delightful Italian-style theatre (and some rather mediocre paintings). There’s a small Archaeological Museum had some interesting artefacts. La Coupole, the Nazi War Bunker built to store V2 rockets during WWII is one of the town’s main attractions with an impressive 3D planetarium. Take time for a stroll along the banks of the attractive canal towards the Lys River. For over 150 years Lens was the centre of coal-mining in this part of France. When the mines closed it looked like the town would lose its heart. 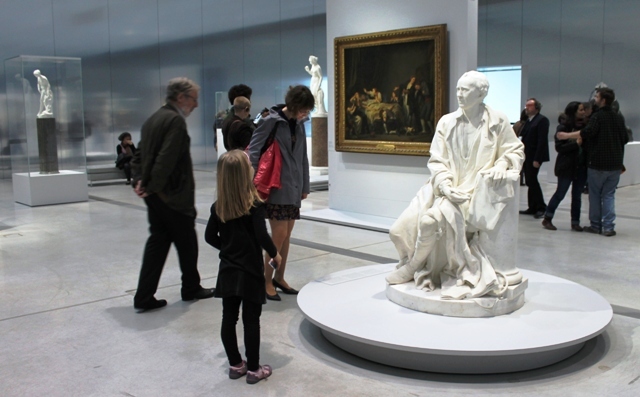 In a radical act of creative imagination, it was decided to build Louvre-Lens, the little sister of the mighty Louvre Museum in Paris, on the site of an old mine. The Galerie du Temps, an airy space of great simplicity, showcases over 200 artworks displayed in chronological order It gives a unique opportunity to see some of the best pieces from the Louvre in an exhibition that changes every few months. 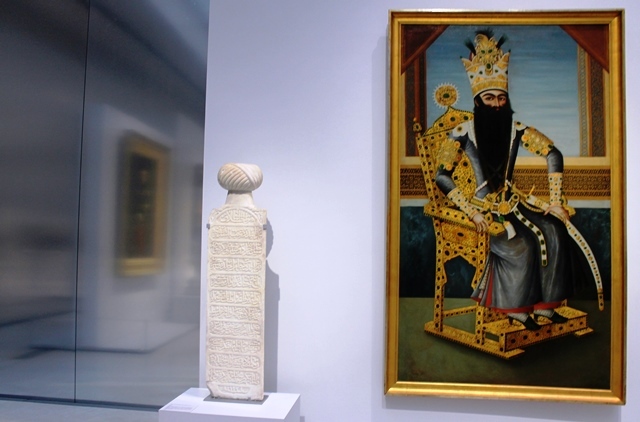 It’s a pleasure to be able to get up close to ancient sculptures, delicate pottery and superb paintings and have time to take it all in, rather than rushing about as you so often have to do in huge galleries. 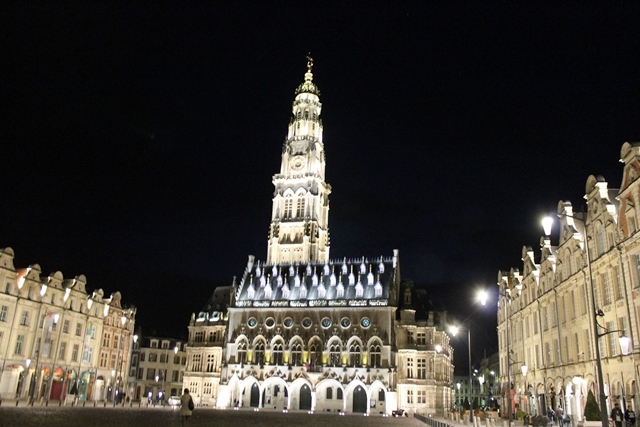 The lovely town of Arras has an air of relaxed insouciance at odds with its tortured history as a battleground during the First and Second World Wars. Beneath the town lies a network of tunnels and Wellington Quarry, where thousands of Allied soldiers waited before emerging into the midst of enemy lines. It has two impressive squares dating from the 17th and 18th centuries. In one, the Bell Tower of Arras is a UNESCO World Heritage site ‘part of the World Inheritance of Humanity’. The other has Flemish-style buildings, many of which house excellent shops, restaurants and bars, gathering a lively crowd of visitors day and night. A sombre memorial stands guard over the scene of one of the worst battles in WWI. On April 9th 1917, Canadian soldiers stormed the Ridge held by German troops, and eventually, after three days of fighting alongside British soldiers, they captured this strategic position. The Vimy Ridge National Historic Site of Canada is a tribute to the many Canadians who fought and lost their lives in the First World War. 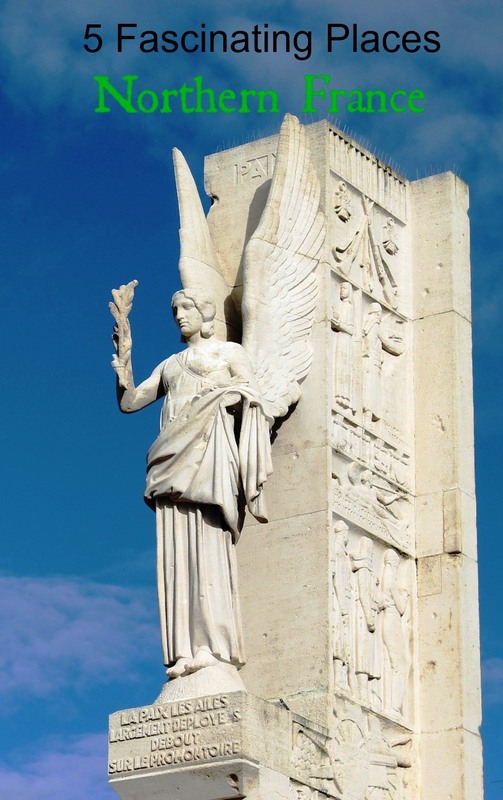 The inscription on the monument, reads: To the valour of their countrymen in the Great War and in memory of their sixty thousand dead this monument is raised by the people of Canada. The enormous white towers bear the maple leaves of Canada and the fleur-de-lys of France. At the top are figures representing Peace and Justice, below two more representing Truth and Knowledge. On either side of the steps are male and female mourning figures. The battlefield still bears the marks of shell holes. Large mine craters are now covered in grass. A few of the trenches, places of unimaginable horror in the past, are conserved; today kiddies race through them, blissfully unaware of that hard-won freedom. Northern France and the Ardennes are easily one of the best little gems of Europe, we recently spent some time in Reims as well, and while not quite as charming as your places, was a nice stay. Your greater point is one well taken though, don’t rush by things, you may just be passing up something as great on the way. Arras looks amazing, by the way! Thanks very much for your comment. As you say, it is a lovely part of France, full of charm and history. I must go to Reims on day. 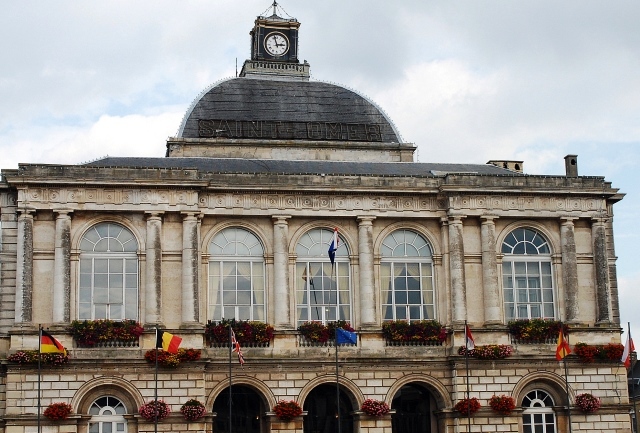 Hope you get to Arras – well worth a visit. 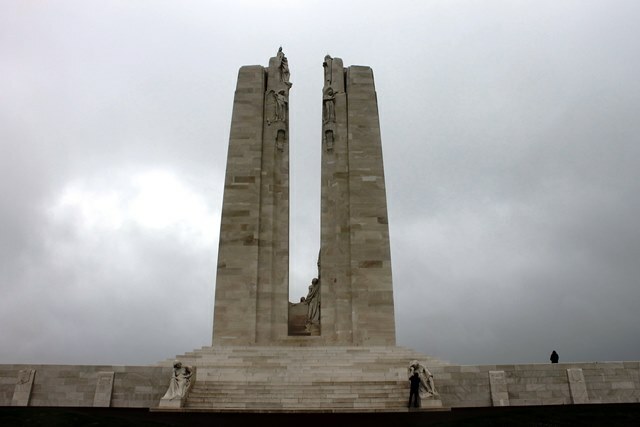 The Vimy Ridge Memorial looks very impressive, especially on that grey day. Good advice to slow down and explore the area.I’ll look out for the beer next time I’m in Tesco’s! Yes, Vimy is a really moving place and the trenches nearby give a vague idea of what it must have been like. It was appropriate that on the day we visited the rain should get really heavy as we visited that area.